Good morning. Happy Monday! I hope you had a wonderful weekend. A lot has happened since I last posted, even though it’s only been three days. The weekend was filled with friends new and old, several needed realizations and more strides towards strengthening my voice. The weekend was nothing short of amazing. My life is a genuine source of happiness for me, I am grateful for the belief that life could be better then it once was and for all the work I did to get me here (about). This week kicks off one of four weeks where I dig into my life and craft speeches to present to at-risk youth for the non-profit Awaken Arts. Each week centers on a different theme. The first week is the hardest week for the teens because it focuses on the past. I’ve been researching several mantras and quotes to share with the teens to help them change their perspective on how they view their past, but more importantly how they view themselves in relation to their past. While I have come a long way in my growth, this past week I have opened a dialogue with silence and another with the universe regarding my journey. I will be meditating on these two topics and will write about what I have uncovered. It is fitting to focus this weeks Mindful Monday quote on the past for the speeches, and because it continues to provide a lot of great wisdom and understanding for me. We are all at different stages of our lives. We may be ahead of some or behind others. No matter where we are, we are right where we need to be. This week’s Mindful Monday is a dialogue between your present and your past. 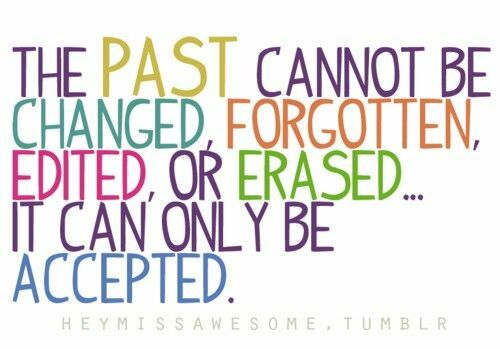 What mantra’s or quotes help you face your past? What mantra’s or quotes help you overcome fear and doubt? If you like this post, please like, comment or share it on social media. You can also follow me via twitter @steffyflores3 / via Facebook IlluminatedVOICE.